It all started with a gym membership. Jessica was eating healthy food, but didn't have the motivation to experiment with her recipes or workouts. "I didn't start getting serious about health and fitness until about a year ago," she elaborated. "I joined a gym for the first time - that was around the same time I joined PumpUp. Why not be surrounded by daily motivation and people who enjoyed bettering their lives just as much as you do?" https://www.youtube.com/watch?v=BtXzP-xRG50 Step up your smoothie game with five ingredients or less! All of these vegan weight loss smoothies don't need any milk at all. Use cold water to speed up the blending process and have plenty of frozen bananas, chopped tropical fruit, and frozen berries on hand so that you can make any smoothie in a flash. These vegan weight loss smoothies are the perfect breakfast if you're trying to eat more fruit. They'll help you to cut down on processed breakfast food and you'll feel energized for hours on end. Check out PumpUp member @rawincollege's YouTube channel for more recipe ideas. These vegan weight loss smoothies were created by PumpUp member @rawincollege. Follow her YouTube channel for more healthy eating inspiration! Baby weight isn't impossible to lose. When Vanessa joined the PumpUp community in June 2014, she was fiercely determined to shed the 50 lbs that she gained while she was pregnant with her son. "As soon as I got clearance from my doctor, I dived right into PumpUp," she recounted. "I shared photos every day and my PumpUp family would motivate me by commenting and pushing me daily, especially @randiashley and @tweetii. PumpUp workouts and a program called T25 got me started, because I didn't know too many exercises when I first started out." 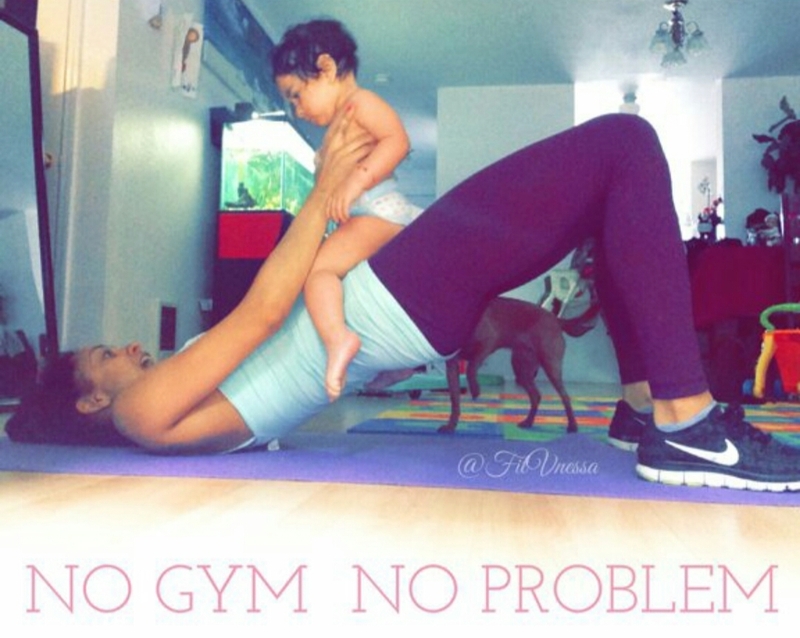 Backed by motivation from the PumpUp community, Vanessa lost over 30 lbs of her baby weight. Prior to PumpUp, Vanessa's eating habits went astray. It was common for her to eat several hot dogs and a large-sized pizza in one sitting. "I didn't know anything about planning my meals, or what eating healthy really meant," she professed. "On an average day, I would look at fit people and wish I was them. While I was pregnant, I knew that I would bounce back as soon as I had my baby." Since Vanessa joined the PumpUp community, she exercises on a daily basis and shares about each of her workouts on PumpUp to keep herself accountable. "I became a wellness coach too," she added. "I know there are people who look up to me now. Using PumpUp daily and putting my life out there actually keeps me motivated to work out, especially when I don't want to." Vanessa likes check up on members who motivate her the most on PumpUp. She's also inspired by those who are just beginning their fitness journeys. "Looking at progress pictures really motivates me to work out," she insisted. Making time to exercise isn't always easy when you have a baby, but Vanessa worked hard to create a schedule that accommodates her lifestyle. She stays positive by maintaining a firm resolve to never compare her progress with that of anybody else's. "Be patient, be persistent, and don't compare yourself with others," she advised. "Use PumpUp to track your journey and don't be afraid to share about your concerns. PumpUp has amazing motivators who are always positive." As Vanessa continues her journey on PumpUp, she strives to make as many fit friends as she can from around the world. "I love how this app allows us to connect with people from other countries in a close setting," she shared. Vanessa ultimately hopes to gain 10 more pounds of muscle and might even consider training for a fitness competition in the future. Finally, she's trying to help her father, mother, and sister overcome their less healthy habits. "My dad had a dialysis a few weeks ago due to his diabetes and bad eating habits," she said solemnly. 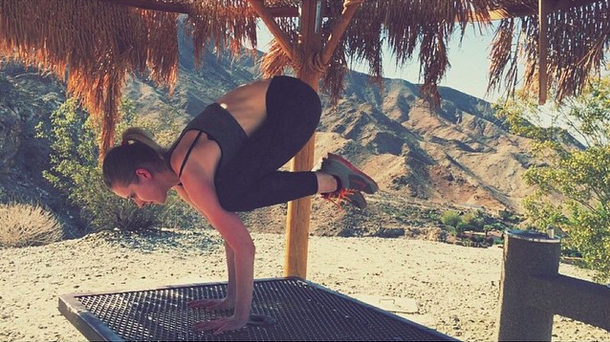 "Trying to stay consistent with my workouts has been hard, but I make time for it when I can." My biggest source of motivation is my son and family. I want to set a healthy example to the people around me, I want to be here for a long time. Thus, I need to eat healthy and active. The people who have always kept me motivated have been @Randiashley and @Tweetii on PumpUp. Since day one, they kept pushing me to lose my baby weight and they made it happen! I love the ab and lower body workouts that I can put together on PumpUp, I love how I can decide which body groups I need to target with the equipment I have on hand. It helps me because I work out at home. When I go to the gym or want to try something different than a Beachbody Workout, it is easy to put together. I usually do Beachbody programs because I am a coach, and I also love weightlifting. I love everything organic. 85% of my food is organic. It does cost more, but I'm passionate about investing in my health. Recently, I had stomach problems when I attempted to eat processed food. My body has completely changed and I won't go back to the way that I was eating before. I am a stay at home mom. Over the course of my year-long fitness journey, I lost over 30 pounds by eating healthy, doing Beachbody programs like 725 and the 21 day fix, and using PumpUp. I became a wellness coach through Beachbody to help others lose weight and become healthy. I also became P90X certified and will become a group exercise instructor and personal trainer soon. I recently told my husband (2 weeks ago) that I was going to quit nursing school to pursue my business with Beachbody and to become a fitness instructor. I LOVE the fitness lifestyle and everything about it. I want everyone to have the chance to build a business from home if they need to, so that they too can stay home with their children without missing out on opportunities. Keep Vanessa pumped by cheering her on PumpUp @vanessamejia! Have any questions for Vanessa? Let us know in the comments below! 7 Day Yin Yoga challenge | What is yin yoga? If you like to remain in yoga poses for longer, yin yoga might be for you. Detract from the hurried pace of life and explore what is happening in the present moment with this unique style of yoga. Yin Yoga has a slower pace. Less is more in yin yoga. It’s a slower and gentler yoga practice where each pose is commonly held for longer periods. Holding a pose for more than 5 minutes is common for this style of yoga. Yin yoga focuses on breathing. The practice of yin yoga draws attention to your inhalation and exhalation patterns. By doing so, it's easier to fall into a meditative state. As you hold each pose for greater lengths of time, you devote more time and attention to the rhythm of your breath, relaxing your body deeper into the pose. Yin yoga targets deep connective tissues. "Over the past few centuries, the physical practice of yoga has become more yang-like,"said Bernie Clark of Semperviva Yoga Studios. 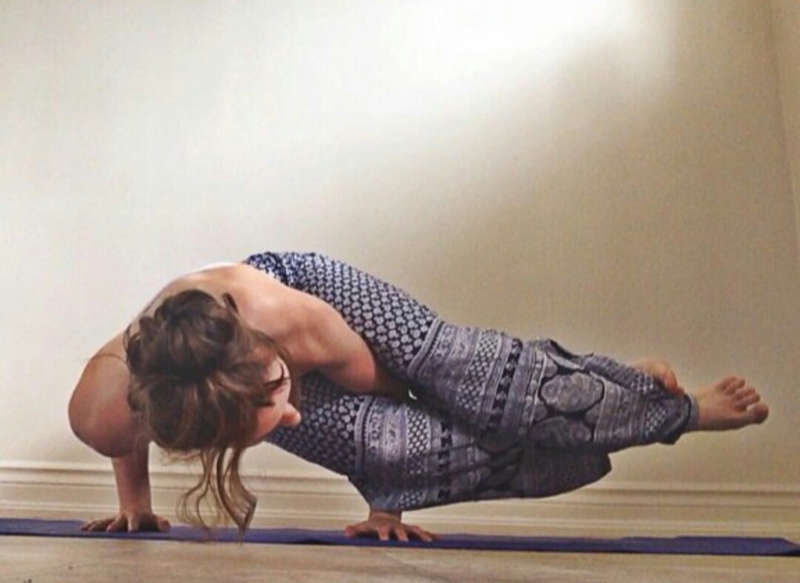 "The poses are physically demanding and held for longer periods of time. Balance requires the yin side to be honoured as well." Yin yoga is not an active, muscular form of yoga, but a simple practice. Physically, it targets deep connective tissues: bones, ligaments, cartilage, etc. It also stimulates the flow of energy within the body. This calendar outlines each day that a new and complete yin yoga flow video will be released by PumpUp member @rinkae throughout the month of May. Once you complete each video, take a photo of yourself doing this pose and share it on PumpUp and Instagram with #7DaysofYinYoga #LunaJai and #TeamPumpUp to win a pair of Luna Jai yoga pants. Each of the above poses will accompany each day that a new and complete yin yoga flow video will be released. This yin yoga routine from PumpUp member @rinkae will allow you to find silence during your practice. It elaborates more upon the foundations of yin yoga. With hard work, determination, and a community of support, bad habits aren't impossible to break from. PumpUp member @michellecantin is a testament to this. After joining PumpUp in 2014, Michelle had the motivation to quit smoking, curb her anxiety, moderate her drinking, and achieve the results that she was always striving for. When Michelle officially began her fitness journey in 2013, her drinking and smoking habits hindered her progress. "I was still smoking, but I barely did any cardio. I was eating healthy, but I was drinking every weekend," she elaborated. "I would get frustrated because I was working out all the time. I was seeing no results because of my poor diet and lack of dedication. By the time Monday came around, I wouldn't want to go back to the gym." This vicious cycle made it difficult for Michelle to adapt the kind of lifestyle that would give her the results she was looking for. Michelle also battled severe anxiety between 2011 and 2013, which undermined her sense of self worth. "I didn't want to get out of bed except to go out and drink," she recounted. "I wanted to forget about everything else. I wasn't myself and I didn't feel like anything I did was worthwhile." PumpUp became the catalyst that motivated Michelle to transform her life. "I was looking for new workouts, stumbled across it and really loved what [the app] had to offer," she remembered. "PumpUp really helped me find motivation in myself and in the other people using it." Scrolling through PumpUp in the morning became routine for Michelle. "I would see pictures of people working out and it would make me want to do the same," she recalled. "Around August 2014 I started to make serious lifestyle changes: I stopped going out every weekend and I quit smoking cigarettes. Aside from random attacks, my anxiety was almost completely gone." The difference in Michelle is palpable. Her lifestyle underwent a complete overhaul ever since she committed to changing her habits for good. "If I had known that working out was all I needed to get rid of my anxiety, I would have started long ago," Michelle mused. "My skin is softer and zit free. My hair is softer and I am so full of energy all the time." For Michelle, working out became a passion rather than a chore. She resolves to exercise at least 6 times a week, whenever that may be. "If I don't feel like going to the gym on a given day because my body is tired, I listen and make up for it on another day," she explained. "I love watching my body change because of how I eat and exercise. It's an interesting and never-ending journey." Michelle's lifestyle change didn't happen automatically. Her progress is the product of several attempts, many victories, and occasional failures. "I've given up a number of times, but what made me continue is the fact that I kept trying again," Michelle insisted. "I would give up, but I'd be back at it next week. I would stop for a month, then try again next month. Finally, I wanted it so bad that I kept pushing." Michelle's passion for health and fitness sparked big dreams for her. "I have withdrawal if I miss the gym for just two days!" she exclaimed. "PumpUp makes me want to do bigger and better things. I would really like to create a free eBook for people to use at the gym, or at home. I'm also very interested in going to school for sports and conditioning, then working my way into becoming a personal trainer." Don't compare your body to others, because it will destroy your confidence. You can strive to look like someone all you want but everyone has different bodies and shapes. It's impossible to look like someone else's body. So strive to be a better, healthier person. Don't strive to look like someone else. My biggest motivation is Lacey Dunn. She is the newest bodyspace spokesmodel and she has an amazing body. She's strong but petite and she knows her flaws which I love. It's great to find a roll model who knows they have to work on things and that the journey is endless. I love to squat. I love it because of the journey. When I started, I could only squat maybe 50 pounds. Today I can squat 180 pounds and am on a mission to 200!! I also love to sprint! I now eat like a carnivorous rabbit haha. I love all vegetables, but also eat white meat and fish. Of course I indulge every now and then but I will never go back to the way I used to eat. I have been horseback riding for over 8 years and have a horse of my own named Nishka! I love animals with a passion and the fact I can join fitness and animals is great. Keep Michelle pumped! Cheer her on as she makes strides with her progress @michellecantin on PumpUp! Were you inspired by Michelle's story? Let us know in the comments below. Veganism is an effective approach to eating healthy, but it doesn't necessarily guarantee it. PumpUp member @daphnec began to realize this as her busy schedule took its toll on her sporadic eating patterns. "Before PumpUp, my eating schedule was healthy but inconsistent," she elaborated. "I have been a vegan for almost 5 years, but I used to skip meals and snacked frequently while I was on the go. My workouts were definitely very inconsistent. Though I practiced yoga and Zumba a couple of times a week, I wasn't very persistent about it!" In the 6 short months that Daphne's been a member of the PumpUp community, she was able to find the motivation she needed. "I was blown away by the support and kindness of the people on PumpUp," she enthused. "I found a great way to keep track of my workout routines and I loved learning more about other members' fitness journeys. Using PumpUp has definitely helped me to push myself. It's great to be around a group of people who all share a passion for leading happy and healthy lifestyles." Since joining the PumpUp community, Daphne has been able to up the frequency and intensity of her workouts. "PumpUp helped me to stay on track so much," she insisted. "From posting pictures to keeping track of your workouts, this app is amazing. I'm also a little obsessed with PumpUp Pat. Every time he pops on my screen to remind me that I'm almost on track, I get so anxious. I feel like PumpUp is constantly pushing myself to be best that I can be." If something is important to you, you'll find a way. 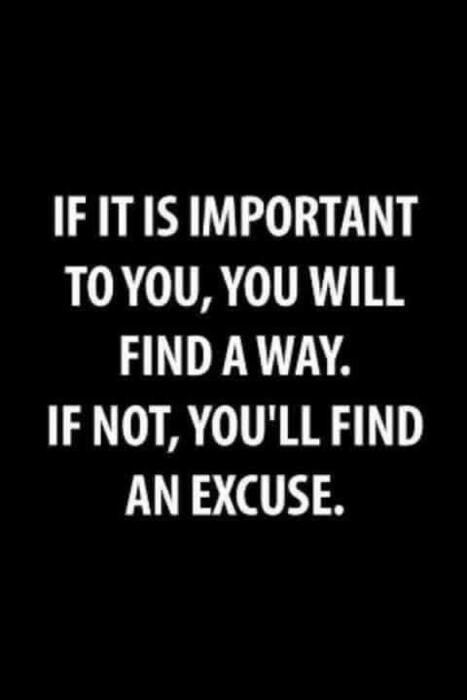 If not, you'll find an excuse. Daphne lost all of her excuses once PumpUp's fitness community began to support her along her journey. "I was full of excuses. I was constantly abiding by unhealthy and irregular eating patterns and found reason to skip my workouts," she recounted. "Finding a 'before' picture of me was challenging. I wasn't comfortable with my body or my own skin, so I was a person who would hide away from pictures. Once I broke with my bad habits, I realized that I could be my own motivator." Daphne insists on the importance of hard work, commitment, and discipline. "You're your own cheerleader and motivator," she counselled. "If you're willing to go from the ordinary to the extraordinary, it's up to you to make a change. Be consistent, eat healthy, and drink lots of water. If you're putting in work, you'll see results!" There isn't an automatic key that unlocked the secret to Daphne's success. Once she embraced PumpUp's fitness community and found an exercise that she was passionate about, Daphne committed to her health and wellness journey wholeheartedly. "I've tried tons of different exercise trends, but none of them really interested me," she professed. "Kickboxing definitely changed that. Not only is it an amazing full-body workout, it constantly changes and engages me every day. It definitely wasn't the easiest workout to begin with, but my endurance is definitely improving and my form keeps getting better!" It's definitely my mom. She demonstrated the importance of hard work to me at a very young age. She's always supported my dreams and aspirations, and she's also been my biggest motivator when it comes to working out and maintaining a healthy lifestyle! When I told her that I wanted to become a vegan, she was my first supporter. She even joined me in my journey! She's sacrificed so much to provide the best for our family. I can't thank her enough for always being there in my life. I'm literally obsessed with mango chia seed pudding. It's delicious, it's amazing and it makes a great breakfast! For lunch, I'm pretty much happy with any good, hearty salad. Raw walnut meat wrapped in collard greens tastes like heaven (I never share these wraps with anybody). I love to drink smoothies every day, in between meals (especially green smoothies for breakfast). I don't take any kinds of supplements. When I do incorporate protein into my diet, I blend açai berries (unsweetened and found in the freezer section of health supermarkets) almond milk, one banana, dates and hemp hearts. It's the best post-workout drink! "There's no substitute for hard work": it's basically the motto from my gym! You can always dream about reaching your goals. Even so, they won't happen if you're not willing to work towards them! This applies not only to fitness, but to other spheres of your life. One of the things I'm involved with is the "Lets Move" campaign. It's so inspiring to see an actual campaign that addresses the overall health of young America. In a world so full of technology, children aren't taught how to perform even simple athletic tasks (like how to bounce a ball). It's important to keep sports programs available to children and to encourage them to be healthy and active. It's also important to change some of the major food companies that serve schools and cafeterias. We should get more involved with what's actually been offered. In a society where vegetables are more expensive than junk food, there's definitely something wrong. During this journey I became interested in becoming a certified clinical nutritionist, which might be my next step! I have a busy life and schedule but love it, it helps me keep on going and reaching those goals. When I was back home (Venezuela) I used to go hiking every summer to Mountain El Avila, this is definitely something I wanted to get myself around to start doing again! Now that the weather it's getting nicer it will be a wonderful time to pick up my hiking skills. Keep Daphne pumped and cheer her on along her journey. Have any questions about veganism or any questions for Daphne? Let us know in the comments below! If you have an inspiring story to share with the PumpUp community, email alessandra[@]pumpup.co! As a stroke survivor and single mother who has struggled daily with a plethora of health ailments, @healthy_beatnik's progress is admirable in every single way. "Every day is a new journey and a new beginning to better your mind and body," she said. Just this past week, @healthy_beatnik was able to improve her form with the crow pose— something that she coined as 'Success Saturday'. Holding these poses takes a lot of patience and strength. She's also been practicing a full backbend and chest opener called the wheel pose. 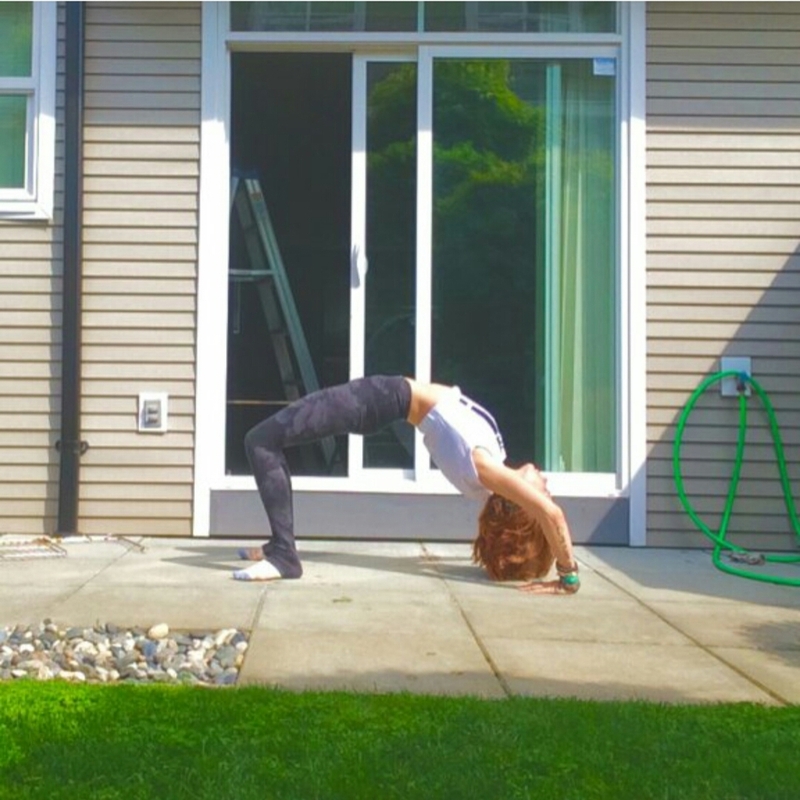 "A couple of months ago, I couldn't bend this way at all, let alone lift myself," she insisted. "Progress is progress, no matter how small or slow it may seem." This is a huge accomplishment for @healthy_beatnik, who was diagnosed with a spine condition called scoliosis. "Regardless of how my illnesses may leave me discouraged, I am always reminded daily by my strength and that even the smallest things count," she mused. As she develops flexibility in her back, @healthy_beatnik begins to take slow, steady, and calculated steps to fight hard against chronic illnesses. 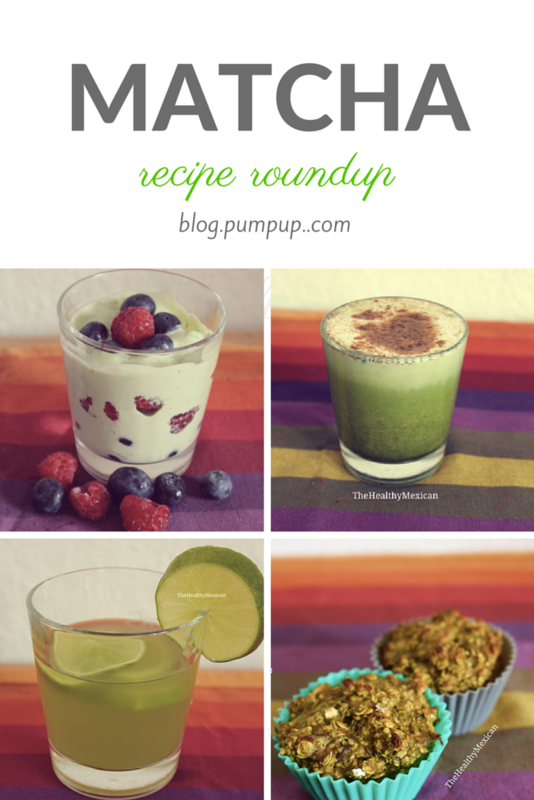 @healthy_beatnik frequently shares her progress and daily meals with the PumpUp community. "I just want to say thank you to all of my followers and 'Pump-uppers'," she confirmed. "[They] are all doing so amazing; taking [their] health into [their] own hands. [They] truly motivate and inspire me every day." Keep her pumped! Whether you're improving your backbend or increasing your race speed, share the stories behind the progress you make and any setbacks that come your way with the #ShowMeTheMay hashtag on PumpUp. Honesty is the best policy, especially when it comes to goal-setting. Take time to reflect upon your fitness goals on National Honesty Day and write them down. It might be more useful for you than you realize, and it might even be the secret to your success. Commitment means staying loyal to what you said you were going to do, long after the mood that you set it in has left you. Make a commitment to yourself and to others by sharing your aspirations with a fitness community like PumpUp. 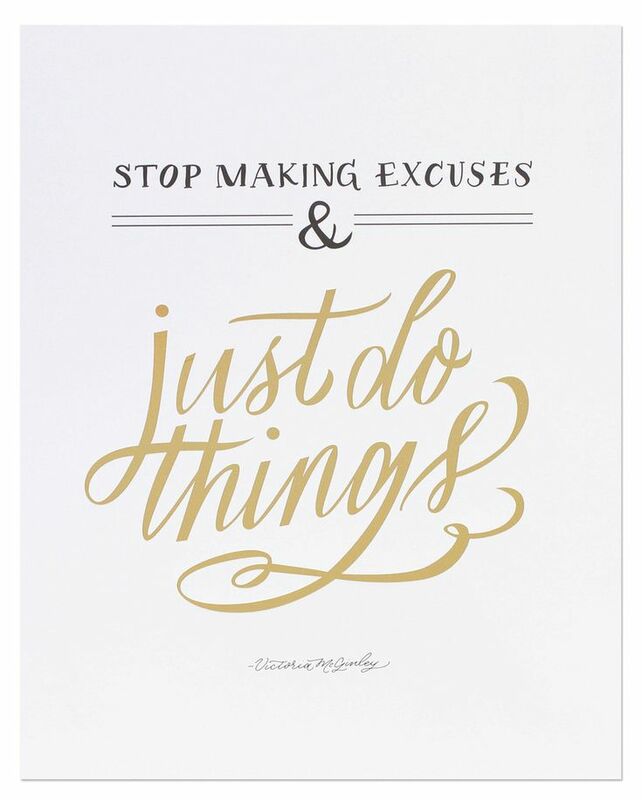 It'll help you stay accountable and achieve more than you could ever have imagined. If you do something out of duty it will deplete you. 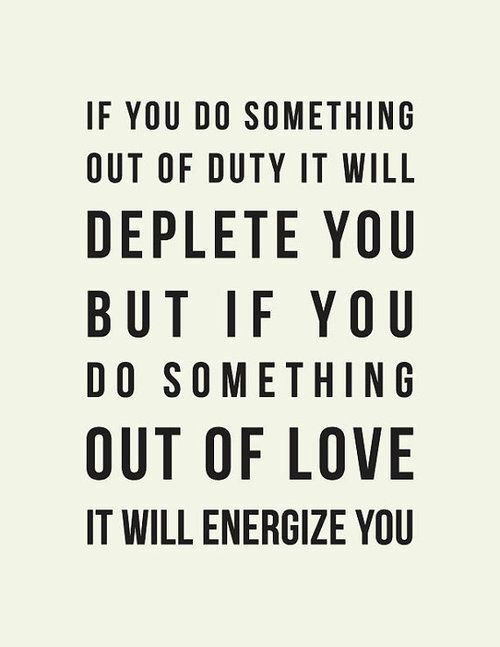 But if you do something out of love, it will energize you. 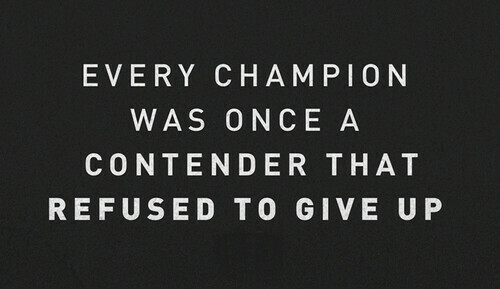 If you're persistent, you'll get it. 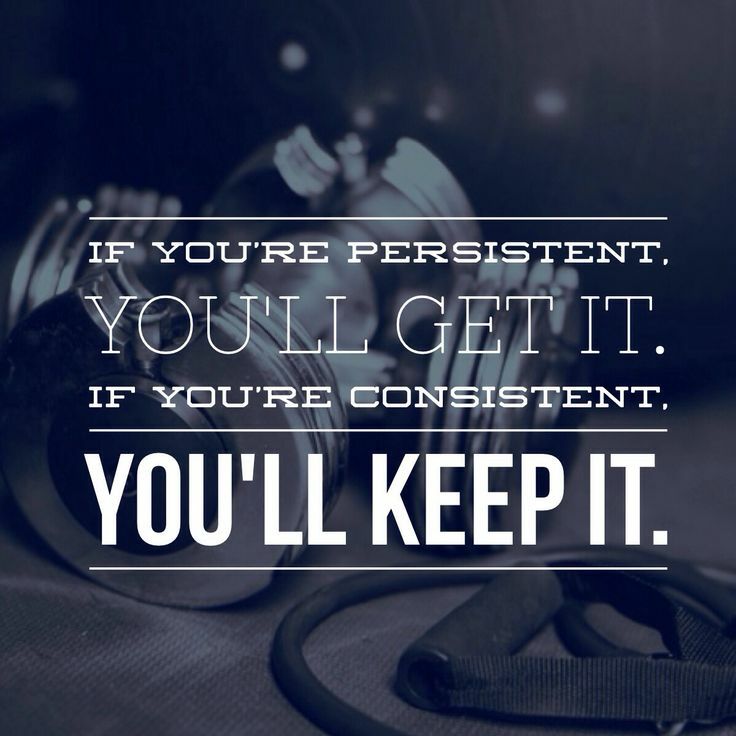 If you're consistent, you'll keep it. 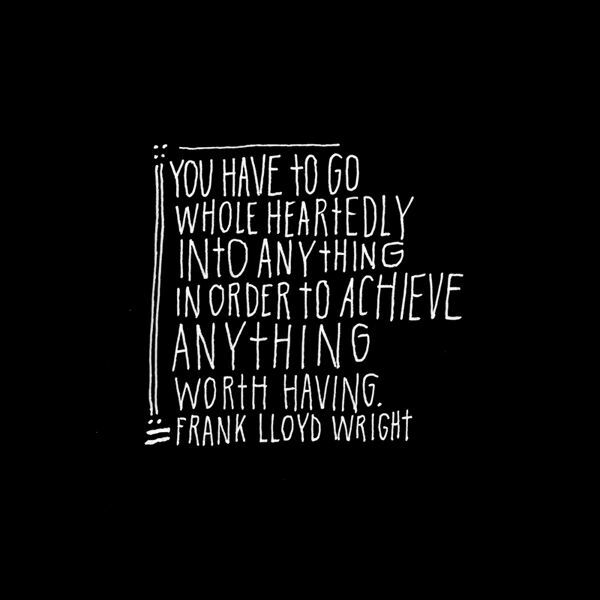 You have to go whole-heartedly into anything in order to achieve anything worth having. 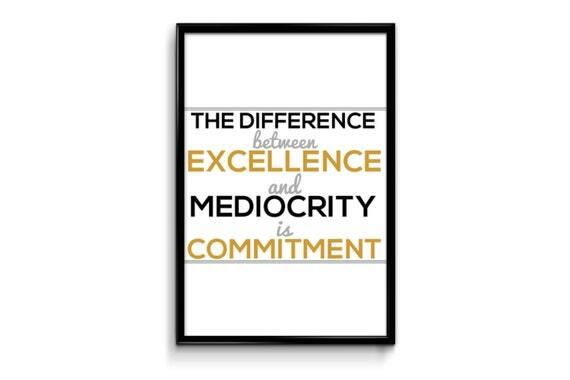 Did these quotes about honesty and commitment help you with your fitness goals today? Share about it on the PumpUp community and let us know what your honest fitness goals are on National Honesty Day! PumpUp MeetUp: Flex with #TeamPumpUp in Los Angeles! Hang out with #TeamPumpUp on March 14th between 1pm and 2:30 pm around the playground on Venice Beach for our very first PumpUp MeetUp! We'll be setting up camp on the sand close to Ozone Ct and Ocean Front walk, you should be able to see Boardwalk Yogurt nearby! The PumpUp team is giving away some swag for the first people who arrive. We're excited to flex with you! Burn fat FAST with this amazing HIIT circuit from PumpUp member Katie Evitts. These fat burning HIIT moves will give you a full body workout. The only equipment you will need is a pull-up bar. We have broken each exercise down into gifs so that you can review how to do each move correctly. Share this workout with a friend so that you can try it together! Stand tall and be proud of all you’ve achieved! According to a study by Ohio State University, posture may affect confidence in one’s own thoughts. When we think about our positive qualities, a confident posture makes us believe what we think more strongly and, therefore, feel better about ourselves. 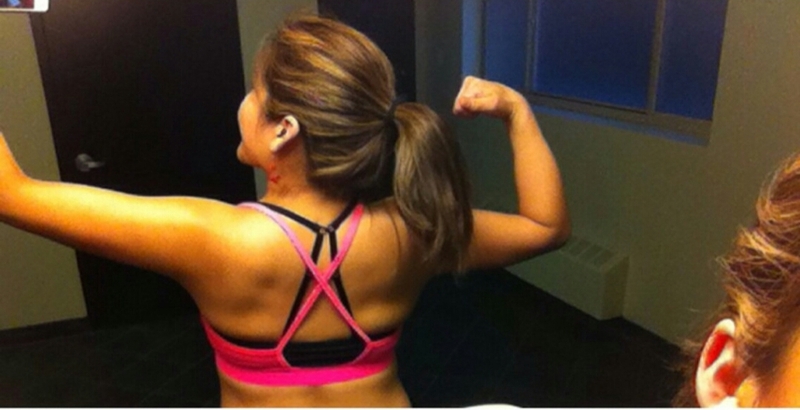 Here’s PumpUp member fitybuildy’s ThrowBACK Thursday progress! Keep her pumped! Can we convince you to never skip breakfast? Ever feel irritable when you’re low on food? You, friend, are feeling hangry. Love yourself: don’t skip meals…especially not breakfast! Eating a bigger breakfast can help suppress cravings and prevent you from being #hangry later in the day. You (and most likely, those around you), will thank yourself for eating breakfast. Concentration. You’re strolling down a slushy sidewalk. A letter for the post office is in hand. You glance at the envelope and realize that you forgot to decorate it with a stamp. Your phone pings: it’s an emoji story from your best friend (what else). Your phone pings again: a fitness app like the pumpupapp reminds you that you missed your morning workout. Suddenly you forgot what you, well, forgot in the first place. We didn’t mean to ramble, but let’s face it: our attention spans are getting shorter and shorter. Breakfast may help with that. Even if you wake up and you cannot even bear the idea of cracking open the fridge; meal prep is a sure-fire way to make sure you that you do get breakfast. Just. Do. Seal smoothie ingredients in ziplock bags. All you have to do is blend them and go. So. painless. Make a bunch of protein pancakes (1 banana + 2 eggs) or gluten free pancakes, or ANY pancakes in advance; freeze ‘em, and reheat them. They’re much better homemade: you know exactly what you’re putting into your body. As a general rule of thumb to keep in mind: add more fiber and protien to your breakfast. Chia seeds are great for mornings: they have 10 g of fiber + nearly 5 g of protein per ounce! A little chia goes a long way to keep you fuller for longer. Challenge : Help PumpUp decide our March Content Theme! Want to win PumpUp Swag? Help us decide our March theme & hashtag by commenting below, and like this photo on our FB! (Http://facebook.com/pumpupfitness) What kind of content would you like to see from us for the month of March? Thanks @randalldizon for the photo! There are songs that make you feel energized…and there are songs that make you feel like a BOSS. Whenever you feel like pleading “This hurts! Make it stop!” in the middle of your workout, remember that you won’t want to. These songs have your back. Check out our newest playlist on 8tracks: Let’s Get Pumped - Your Epic Workout. It has a little bit of everything: PumpUp-approved songs chosen by the PumpUp community. Thanks for participating in our #8trackspump contest! Your music is here. Share if you’re brave! As effective as they are, burpees are a full-body exercise that we love to loathe. Make them fun with a partner! This burpee partner workout is a great way to start. Begin by jumping up with your arms raised in the air, immediately touch your hands to the floor, do a push-up. One person rolls over to the other side, one person does a lateral jump over the other person. Perform a vertical jump and repeat. Did you enjoy this workout? Check back on the pumpupapp blog for more gifs and workouts!